Mahler - Symphony No. 2 "Resurrection"
No other work in the symphonic repertoire so completely brings together musicians and audiences in communion. Music Director Alain Trudel combines a larger-than-life orchestra and a massive chorus of community singers to perform Mahler's heart-stopping soundscape that unites life, death, and ultimate resurrection. These concerts are dedicated to the memory of Stephen Stranahan. 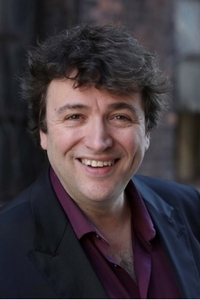 Recently appointed Music Director of the Toledo Symphony (USA), conductor Alain Trudel has been praised for his “immense talent as conductor, musician and performer” (La Presse). He is also Music Director of l’Orchestre Symphonique de Laval, Principal Youth and Family Conductor of the National Arts Centre Orchestra and Principal Guest conductor of the Ottawa Symphony Orchestra. Trudel was also the CBC Radio Orchestra conductor, taking the orchestra to new heights of artistic quality, as well as public and critical acclaim. Trudel has conducted every major orchestra in Canada as well as orchestras in the UK, USA, Sweden, Brazil, Italy, Russia, Japan, Hong-Kong, Malaysia and Latin America. Trudel made his Opera de Montréal debut in 2009 in Mozart’s Magic Flute and conducted the live recording of their 30th anniversary gala. He has been a regular guest since and in March 2017 he conducted to great acclaim (“The entire audience was on its feet for another standing ovation, with concertgoers shouting “wow” and “bravo.” Rolling Stone Magazine, “The Wall Triumphs in Montréal.” Le Figaro, Paris) the world premiere operatic version of “The Wall”. Trudel will also lead the american premiere at the Cincinnati Opera in July 2018. Always committed to upcoming generations of musicians, Trudel was Conductor of the Toronto Symphony Youth Orchestra from 2012 to 2014 and has regularly been invited to conduct the National Youth Orchestra of Canada. From 2011 to 2015 Trudel was Professor and conductor of the orchestra and opera orchestra at the University of Western and is now guess professor for orchestra and opera at the University of Ottawa. First known to the public as “the Jascha Heifetz of the trombone” (Le monde de la musique), Alain Trudel has been a guest soloist with orchestras worldwide including Philharmonique de Radio-France, Hong-Kong Philharmonic, Austrian Radio Orchestra, Festival Musica Strasbourg (France), Klangbogen Festival (Vienna), Akiyoshidai and Hamamatsu festival (Japan). Alain is also a respected composer with performances across America and in Asia. Alain Trudel was the first Canadian to be a Yamaha international artist, and is the recipient of numerous awards including the Virginia Parker, Charles Cros (France), Opus prize and Heinz Unger prizes. He has been named an Ambassador of Canadian Music by the Canadian Music Centre and received a Queen’s Jubilee Medal in 2012. Praised by the New York Times for her “luminous voice” and “intensely expressive interpretations,” and named “remarkable, artistically mature … a singer to watch” by Opera News, soprano Sarah Shafer is quickly emerging as a sought-after artist on both the operatic and concert stage. The 2017 – 2018 season sees Ms. Shafer’s debut with the Metropolitan Opera singing Azema in the John Copley production of Semiramide, conducted by Maurizio Benini. Concert work includes her debut with Malmö Symphony Orchestra singing Barber’s Knoxville: Summer of 1915 with John Wilson conducting, and her debut with Utah Symphony Orchestra singing Mozart’s Mass in C Minor, conducted by Markus Stenz. Recital work includes a return to the Collaborative Arts Institute of Chicago for their opening concert “Myths and Legends” and a salon concert with Myra Huang. The 2016–2017 season saw Ms. Shafer’s house and role debut as Leila in Bizet’s Pearl Fishers at Tulsa Opera, as well as a return to San Francisco Opera as Zerlina in Jacopo Spirei’s new production of Don Giovanni. Recital work included appearances with the Liszt Academy in Budapest, Hungary, a salon concert exploring the poetry of Paul Verlaine as set by the music of Claude Debussy with the Collaborative Arts Institute of Chicago, and a recital with pianist Brian Zeger as part of Grand Junction Symphony Orchestra’s chamber music series. Concert work for the 2016 – 2017 season included Carmina Burana with the San Antonio Symphony conducted by music director Sebastian Lang-Lessing, Mozart’s Requiem with the Omaha Symphony, Mahler’s Resurrection Symphony with both the Cheyenne and Williamsport Symphony Orchestras, the world premiere of Richard Danielpour’s “Talking to Aphrodite” with the Sejong Soloists at Carnegie Hall, a holiday concert with fellow Curtis alumnus Jarrett Ott and the Lexington Philharmonic Orchestra, and Bach’s St. John Passion with Voices of Ascension chorus. Highlights of recent seasons include her role debut of Pamina in the Jun Kaneko production of Die Zauberflöte and the world premiere of Marco Tutino’s Two Women in the role of Rosetta, opposite Anna Caterina Antonacci and conducted by Nicola Luisotti, both with San Francisco Opera. Ms. Shafer had an enormous success in her return to Opera Philadelphia as Adina in the Stephen Lawless production of L’elisir d’amore, and created the role of Mary Lennox in the world premiere of Nolan Gasser’s The Secret Garden with San Francisco Opera. Other career highlights include Barbarina and the cover role of Susanna in Le nozze di Figaro at the Glyndebourne Festival and the BBC Proms in London’s Royal Albert Hall, and several roles for Opera Philadelphia including Nuria in Osvaldo Golijov’s Ainadamar, Voce dal Cielo in Don Carlo, and Papagena in Die Zauberflöte. An avid recitalist and chamber musician, Ms. Shafer enjoys an active collaboration with legendary pianist Richard Goode, having recently performed Schumann and Brahms lieder at Carnegie Hall and Schubert’s Der Hirt auf dem Felsen with clarinetist Anthony McGill at the Philadelphia Chamber Music Society. She has also collaborated with such musicians as guitarist Jason Vieaux, and clarinetist Richard Stoltzman. Ms. Shafer was a resident artist at the Marlboro Music Festival for five summers, where she worked with Richard Goode, Mitsuko Uchida, Benita Valente, Sir Thomas Allen, and Martin Isepp. She has also performed at the Mozart and Handel Académie européenne de musique in Aix-en-Provence, Lake Champlain Chamber Music Festival France, the Bard Summer Music Festival, and was named a winner of the 2014 Astral Artists National Auditions. Highlights of concert work includes appearances at Carnegie Hall with the New York Choral Society in Mendelssohn’s St. Paul, Handel’s Israel in Egypt with the New York Choral Society, and Mahler’s Resurrection Symphony with the New York Youth Symphony at Carnegie Hall. Ms. Shafer has appeared as soloist with the Philadelphia Orchestra, the National Orchestra of Mexico, the Nashville Symphony Orchestra, Wroclaw Symphony Orchestra (Poland), the Louisiana Philharmonic Orchestra, and the Quad City Symphony Orchestra, among others. Additional concert repertoire includes Bach’s St. John Passion and Mass in B minor, Barber’s Knoxville: Summer of 1915, Poulenc’s Gloria, Lutoslawski’s Chantefleurs et Chantefables, Fauré’s Requiem, Duet for Soprano and Tenor after Tchaikovsky’s Fantasy-Overture Romeo and Juliet, Strauss’s Suite from Der Rosenkavalier, Handel’s Messiah, and Mahler’s Symphony No. 4. A recent graduate of the Curtis Institute of Music, Ms. Shafer’s credits for Curtis Opera Theatre include over 20 productions and a variety of roles such as Pamina in Die Zauberflöte, Almirena in Rinaldo, Giulietta in I Capuleti e i Montecchi, Elizabeth Zimmer in Henze’s Elegy for Young Lovers, Ilia in Idomeneo, Rosina in Il Barbiere di Siviglia, Sofia in Il Signor Bruschino, and Mélisande in Impressions of Pelléas. Most recently, she sang the role of Sister Constance in Poulenc’s Dialogues of the Carmelites. A native of State College, PA, Ms. Shafer holds degrees in voice and opera from the Curtis Institute of Music, and is currently based in Philadelphia. TSO in HD is made possible through the generous support of Buckeye Broadband.